Choosing a roofing contractor who will do a professional job is critical. Each year, the Better Business Bureau and other consumer agencies receive thousands of complaints about roofing contractors. Unfortunately, most states have few or no regulations regarding roofing contractors and installers, nor do they have building code requirements pertaining to roofing. This creates a huge “buyer beware” situation when it comes to roofing your home. Even if you do the proper due diligence, you still run the risk of a contractor who does not watch over their installation practices the way that they should. Because the cost of entry into the roofing profession is fairly low, the industry is full of people who are not properly trained, as well as a few people who are downright deceptive. We believe that, when evaluating roofing contractors, you need to first understand your roofing needs. So, later in this post, we will tell you how to assess your roofing needs, and how to ask those questions. 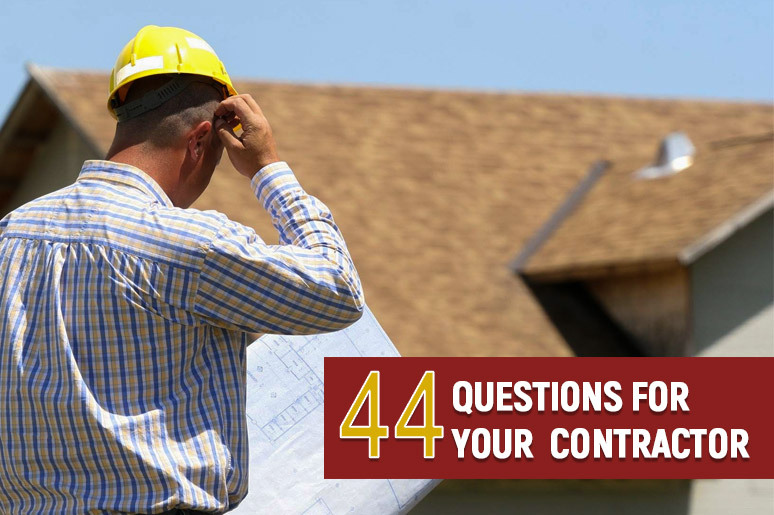 But first, there are all sorts of general questions to ask a prospective contractor. Never feel like you’re asking too many questions. If you are talking to a professional and serious contractor, they will welcome your questions. Contractors who get annoyed by too many questions are contractors to back away from. As a consumer, you must be able to obtain answers to your questions. Who owns your business, and for how long have they owned it? What jobs do you have that I can go see? Who, exactly, will be installing my roof? Are they employees or sub-contractors? Can I visit a project they are working on right now, and see them in action? What training and experience does the crew have? Have they been trained by the manufacturer of my roofing? What past customers can I talk to? When would you be able to schedule my job? Do you have proper licensing and certification? Insurance? Workers’ Comp? Please show me proof of these things. Is a building permit required for my project and, if so, will you be pulling one? What steps do you take for the safety of your workers? What steps do you take to ensure the safety of my home and my family? After this first set of questions, the rubber needs to meet the road. Assuming you received acceptable answers to your original questions, you now need to ask very specific questions about how they will handle your project. How will you access my roof? How will you remove any materials that are torn off of my roof? Will you have a dumpster on the site? Will you have a porta-potty on the site? How will you protect my home’s gutters? How quickly can you react, and what will you do, in the event of inclement weather? Will you provide me written warranties both for your workmanship and the product you will be installing? When? Will you be using fasteners that are approved by the manufacturer of my roofing material? Can you provide evidence of that? How do you ensure that the proper number of fasteners are used and that they are located correctly? How will you protect my driveway and the rest of my property from damage? What is the cost of plywood replacement if you find any that needs to be replaced? Who will be my contact during the project and how readily accessible will they be? Please provide me with specifications and instructions for the proper installation of my roof. Who, besides the installers, will be overseeing my roof installation for quality? Will you be installing all new flashings or are there any old flashings which you will re-use? Are there any areas of the roof which you plan to just seal rather than flash? Please explain how pipe penetrations will be handled. What things might cause a deviation from the contracted price? How will you be checking the condition of the decking on my roof? Will you perform fastener pull-out resistance tests? Why do you think my old roof needs to be replaced? Is there evidence of things like inadequate ventilation which I should address? Please inspect my attic and help me evaluate whether now is the time to increase the ventilation in my attic. Please also help me understand if there is any evidence of leaks in my attic or high moisture levels, and how to address those. Be sure to ask whether any tax credits or utility rebates will be available to you on your new roof. To put together your final set of questions, you need to spend some time understanding and evaluating your roof. Walk around your home a few times and use binoculars if necessary to get a good look at your roof. 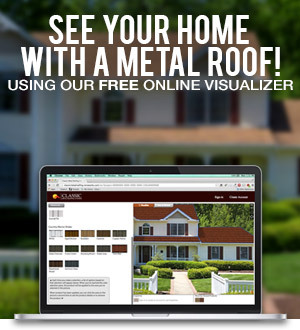 Use online satellite imagery to look for unusual areas on your roof. If you have any upper story windows that look out over lower roof sections, use those to your advantage as well. Keep a keen eye out for areas on your roof where debris collects, where extreme wear has occurred, and where a lot of mildew or other biological growth is present. Those things can indicate areas where perhaps something different should be done when your home is re-roofed. Look for any “dead valley” areas where water will collect and not easily drain from your roof. Know whether your chimney has a cricket behind it and, if your home has skylights, know how old they are. If your roof has protrusions such as walls, skylights, or chimneys, ask the salesperson to either show you photos or sketch how those areas will be handled. Their explanation will separate those who know what they’re doing from the ones who will wish they knew what they’re doing. Generally speaking, flashings need to be inserted either behind or into most roof protrusions. Skylights need to be curbed at a level higher than the roof plane. Discuss the age of any skylights you have. We generally suggest replacing any skylights that are ten years of age or older. In the case of chimneys, be sure to ask if your chimney has a cricket and, if it doesn’t, whether they recommend one. We generally suggest crickets on chimneys that are 18” or wider. Discuss any unusual things you have seen in regards to the design of your roof. Make sure that they can explain how they will handle those areas. This would include dead valleys. Inquire as to whether your roof has any areas where structural changes should be made in order to avoid difficulties down the road. If your roof has a lot of streaking and staining, be sure to discuss that and get the contractor’s ideas on ways to reduce it in the future. If your roof has any low pitch areas, require the contractor to show you proof that the manufacturer of your roofing approves its use on roofs like yours. Be very specific in requiring the contractor to help you evaluate whether your Attic Ventilation needs to be increased. This must start with your own solid understanding of how ventilation works, and its benefits. Be sure to understand exactly what will be done on the new roof in terms of exhaust vents, and how those will be balanced with your intake vents. There is no better time to address ventilation than when your home is re-roofed. Have a thorough discussion as to whether your old roof needs to be removed. In some but not all cases, two layers of roofing can work very well. Discuss any wintertime ice issues you’ve had on the roof in the past, and how to stop them from happening in the future. If you’d like to see your new roof be environmentally friendly, be sure to discuss energy efficiency, possible recycled content in your new roof, and its recyclability at the end of its useful life. Inquire whether your new roof is Energy Star rated. We understand that this a lot of information, and we encourage you to be diligent when researching your next roof. After all, it protects all that your home or property contains. So ask questions! We are here to help guide you through the process to a wise roofing decision for you and your home even if it doesn’t involve our products.